Conterra's Airway Pro is a rugged, no holds barred organizer, which is built to withstand the every day abuse of street EMS. It is built entirely of Conterra's exclusive SI TEX fabric, which is totally fluid proof and over FIVE times stronger than the CORDURA® fabric used on other brands of airway kits. 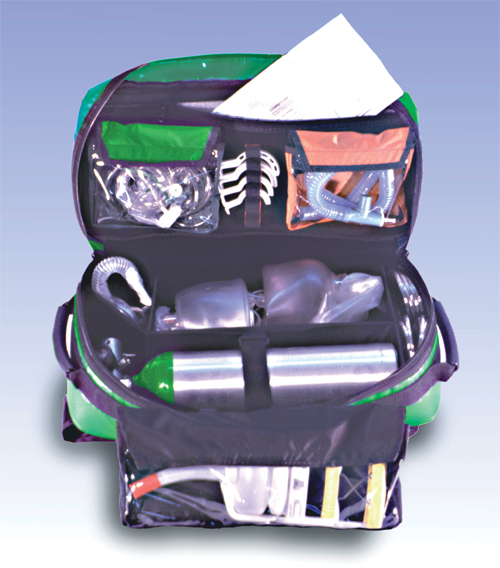 The fully padded Airway-Pro opens with a single huge #10 coil YKK® zipper to reveal a main compartment that is divided into three parts for organizing your O-2 equipment. The top flap is lined with hook and loop compatible fabric and can accept any of our MOS modular organizers. The kit itself comes with two detachable vinyl window pockets for organizing tubing and delivery devices, and an elastic strap for your oral or nasal airways ( you can add as many additional straps as you need). 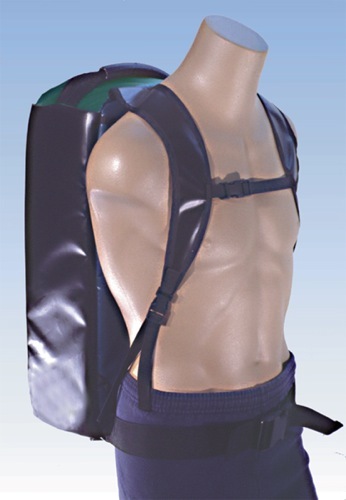 The top flap has a full length zippered compartment that can hold combi-tubes or several C-collars. Medical Contents Shown Not Included. Bag Only.